30 years ago "Mehboob Elahi" laid the foundation of "Muazmee Plastic"
Over the years his family has embraced the unmatched quality and unique brands . Today we proudly uphold the traditions of our pioneer that have earned us the love and loyalty of thousands of customers all over the Punjab. Muazmee is a provider of wholesale industrial and commercial plastic poly bags for business customers big and small. We understand the needs of businesses and provide quality bag products for any application. Because we understand that even something as simple as a plastic bag can make a lasting impression on your customer, all of our plastic bags are constructed to provide exceptional quality, superior clarity and unsurpassed value. Our bags are designed to do their job and not split open under the slightest strain or pressure as some cheaper bag products so often do. We are committed to providing our customers with the best possible experience. Our website has been designed to offer ease of use, informing our customers and directing them to the best bag product we have to meet their needs. Because we offer so many different types of bag products, our website makes it easy to find the right bag for the right need. This makes the shopping experience more convenient and saving our customers valuable time and effort. If you are interested in our products,please feel free to contact us.Thank you for paying attention to our website. 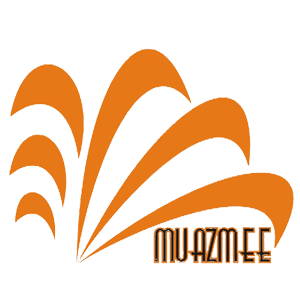 Our vision is to make "Muazmee" a national brand, recognizable for uniqueness nationwide.